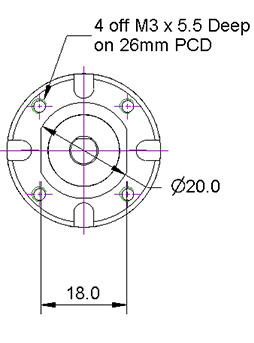 32mm Diameter Planetary Gear Motors. Permanent Magnet DC motors with sintered bearings together with Planetary Gear type Gearboxes incorporating sleeved bearings and brass gears offer a high torque output in a compact size. The motors can be run at a range of voltages to achieve the desired output speed. 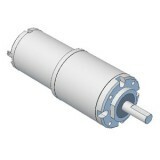 These motors are suitable for industrial and model applications. 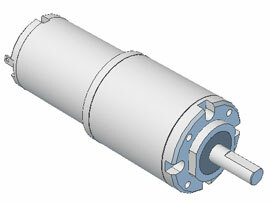 DC Electric Gearmotor with Planetary Gearbox. 100:1 ratio. ..
DC Electric Gearmotor with Planetary Gearbox. 250:1 ratio. ..
DC Electric Gearmotor with Planetary Gearbox. 4:1 ratio. ..
DC Electric Gearmotor with Planetary Gearbox. 62:1 ratio. ..
DC Electric Gearmotor with Planetary Gearbox. 1024:1 ratio. ..